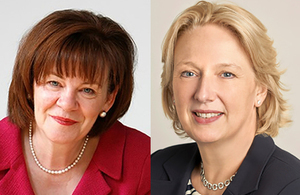 The Bank of England, the UK’s central bank, said Colette Bowe and Jayne-Anne Gadhia have been appointed as external members of its Financial Policy Committee (FPC). Bowe is the current chairman of the Banking Standards Board, a trustee of the IFRS foundation, a trustee of the Nuffield Foundation, and a visiting fellow at Nuffield College, Oxford. Until recently she was also a board member of the UK Statistics Authority and the Department for Transport. Gadhia was the CEO of Virgin Money from 2007 until 2018, regularly attended the Prime Minister’s business advisory council, and served as a member of the Mayor of London’s business advisory board. Bank of England Governor Mark Carney said: “I am delighted to welcome the appointment of Colette and Jayne-Anne to the Financial Policy Committee. “As chair of the Banking Standards Board, Colette has led the way in developing and embedding better standards of conduct across the banking sector. “Her experience in the private sector and handling some of the biggest regulatory challenges of our times will also be extremely valuable to the committee’s deliberations in the coming years. “Jayne-Anne brings deep and relevant experience in retail banking and her successful business career. “In her public policy she has championed the transformative impact of adopting new technologies and of greater diversity within the workforce of the financial services industry. Bowe and Gadhia will replace Richard Sharp and Martin Taylor, who are stepping down at the end of Q1 2019 and Q2 2019 respectively. Gadhia will take up her role in time for the FPC’s Q2 2019 round of meetings, with Bowe taking up her role in time for the FPC’s Q3 2019 round of meetings. They will serve three-year terms. Bowe was chairman of Ofcom (2009-2014) and held board memberships at Morgan Stanley Bank International (2005-2011), Axa Investment Managers (2012-2014) and was executive chairman of Electra Private Equity (2010-2014) among other positions. Gadhia was CEO of Virgin Money from 2007 until 2018 when it merged with CYBG. She also led the Government’s review into equality and inclusion in Financial Services as the Women in Finance Champion.